Reflex Excursion compound bow. 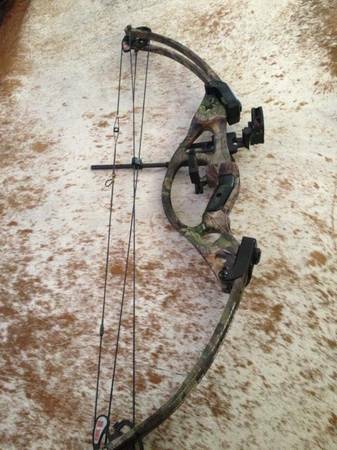 Perfect bow for small frame or female. See pics for description. 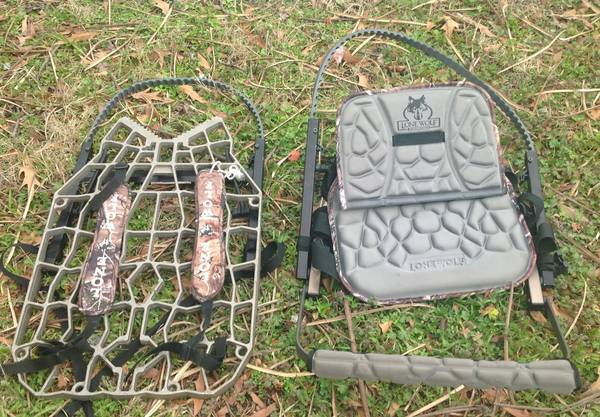 40-50 lb draw and 25-27 inch draw length. Everything in the box comes with it. 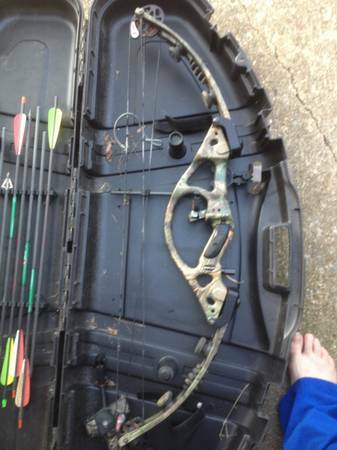 New whisker biscuit, lighted tru glow sight, hard case, release stabalizer, quiver, and a dozen arrows. Reflex excursion by Hoyt decked out and ready to rollCam 12 adjustment 27-30in, 50-60lb pull, boning quiver, 9 arrows, 3NAP board heads, NAP quick tune 360 rest, new string, Limbsaver deners, peep site.275.00Lone Wolf 2pc sit n climb climbing deer stand. Retails for 419.oo at cabelas, bought in 2012.